This is a new unit with a full warranty. It is priced to move! 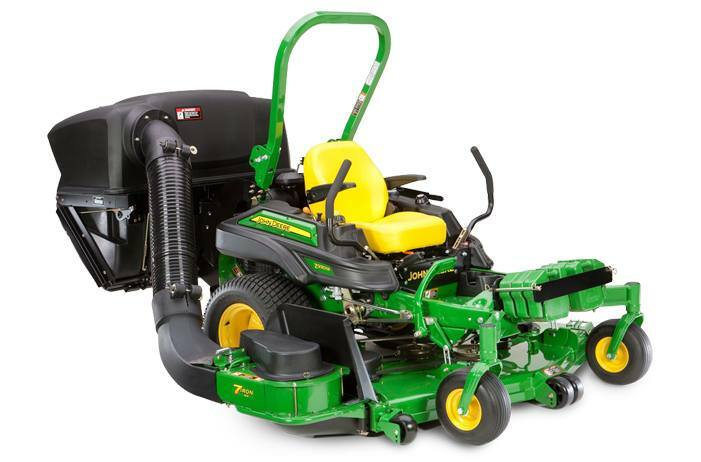 Features the John Deere exclusive 7 Iron Pro II 72" deck with a Kawasaki engine. Stock photo used shows attachments which are not included. ZTrak Z950M With the M Series, we came up with machines that would please those customers with large fleets who demand efficiency. The Z950M features a long list of available options, including Mulch On Demand decks, dump-from-seat Material Collection System capability, 3-way adjustable suspension seats and easy-to-use diagnostics. 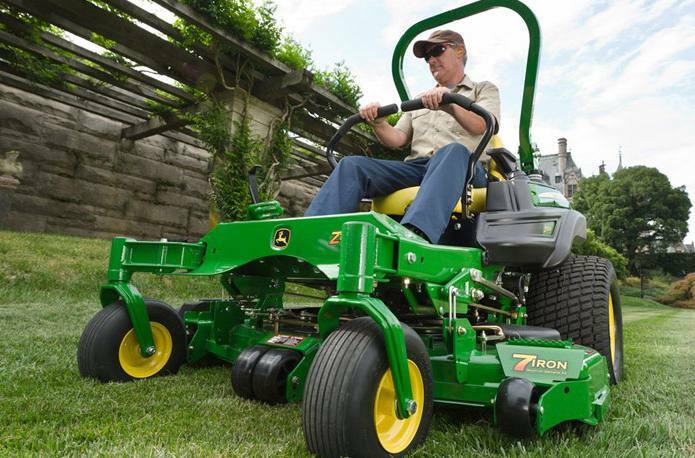 7-Iron™ PRO and Mulch On Demand™ Mower Decks Each Z950M mower can be paired with one of our 7-Iron PRO mower decks - available in 60 or 72-inch (152, 183-cm) widths, or a time-saving 60-inch Mulch On Demand deck. These decks are stamped from a single piece of 7-gauge steel, which means there are no welds or corners on the underside for clippings to collect and clump. Dimensions: Overall Length - 84 in. (213.4 cm) ; Overall Width (chute down) - 74, 86 in. (188, 218.4 cm ) with chute down; Height - 73 in. (185.4 cm) with ROPS up; 47 in. (119.4 cm) with ROPS down; Weight (with Fluids) - 1365 lb (619.2 kg) - Z930M 72"